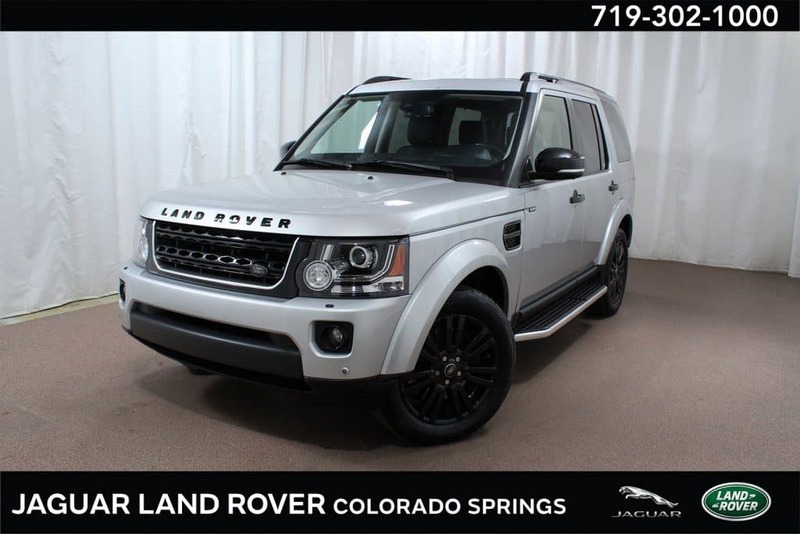 Land Rover Colorado Springs has this gently pre-owned 2016 Land Rover LR4 HSE priced to sell quickly! This 4-wheel drive SUV has less than 47,000 miles on it and is priced at only $44,989! That is an amazing deal for a vehicle with the luxury and capability of this LR4. This Land Rover is perfect for drivers to power through the snow that we all know will still be falling in Colorado for awhile this winter! Plus, when summer comes, you will be ready to enjoy an adventure to the Colorado mountains without any issue with winding roads or difficult terrain. The Land Rover LR4 is perfect for the whole family since it has a third row for extra seating. It is also well-equipped with both comfort and safety features to make each journey more amazing. Features include heated front seats, power moonroof, remote keyless entry, and traction control. This SUV also has a tow package, surround camera system, and rear parking camera with sensors. Always find your way with our easy-to-use navigation system. Enjoy your favorite tunes while on the journey thanks to the Meridian Premium Audio System with Sirius XM Satellite Radio capability. Of course, you can count on the stylish Land Rover design to really turn heads. In fact, this beauty also has the Black Design Pack with 19″ Black wheels that are very eye-catching. You can buy with peace of mind when you shop at Land Rover Colorado Springs. Our preowned inventory is carefully selected to insure you quality and reliability. We back that with a 3-month / 3,000-mile Limited Comprehensive Warranty! Stop by today and let us show you the many features you will appreciate on each trip, whether your commute or family road trip.